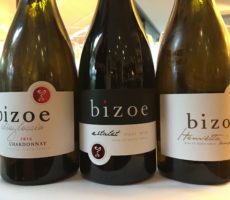 I prefer always to taste wines where they are made. 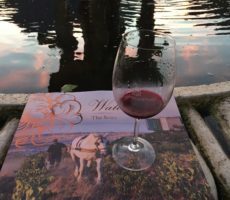 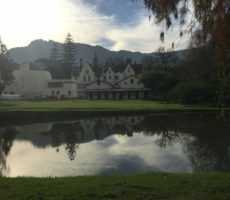 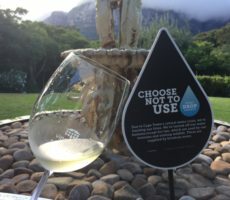 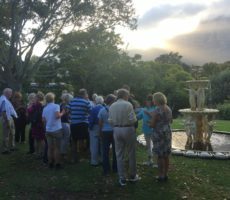 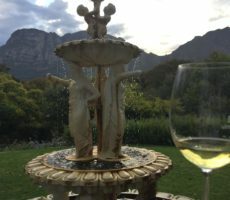 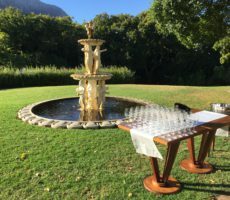 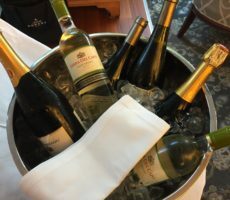 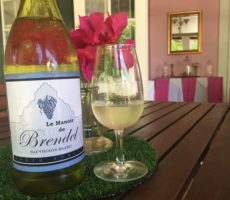 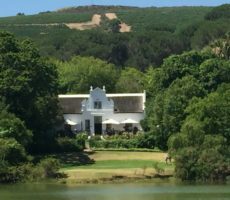 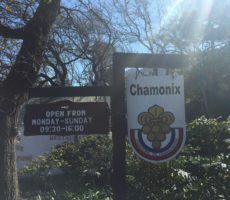 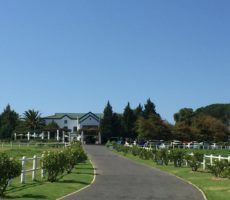 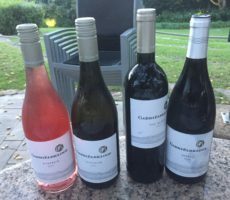 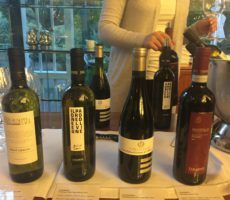 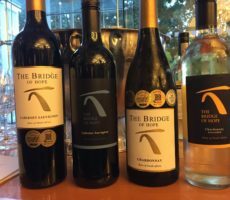 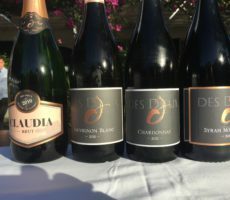 Two years ago, I tasted a small selection of the Domaine des Dieux wines at the Vineyard Hotel in Claremont, Cape Town. 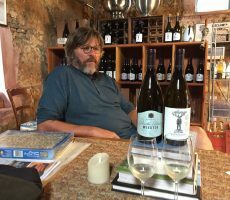 I vowed then to visit the farm to taste a wider selection in situ but I did not think it would take this long. 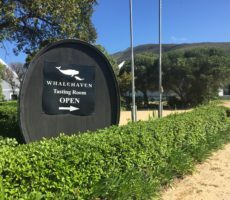 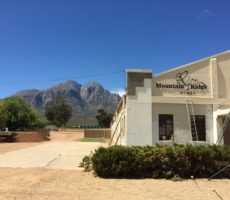 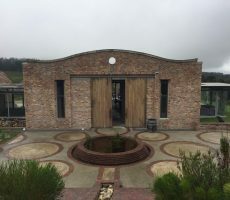 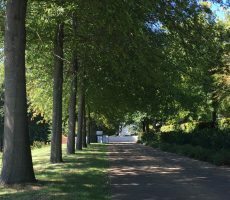 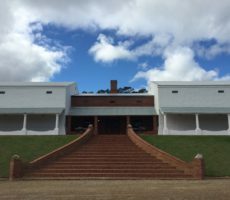 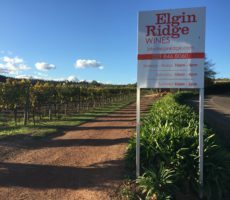 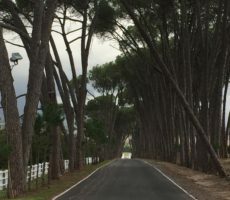 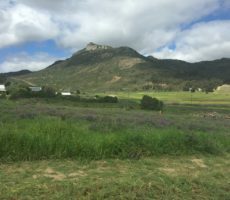 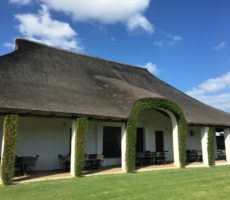 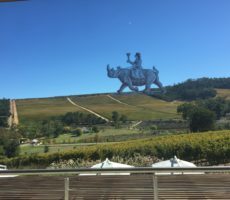 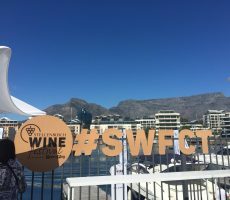 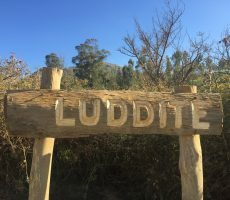 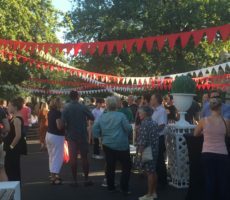 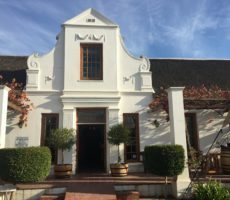 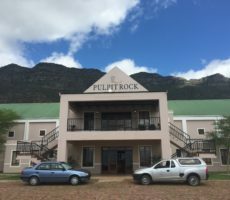 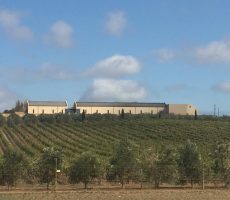 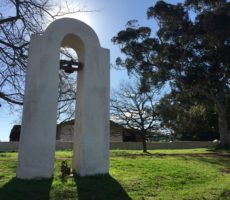 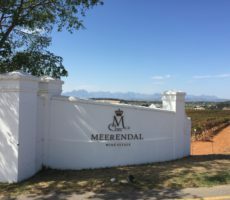 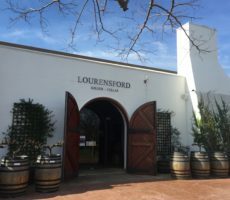 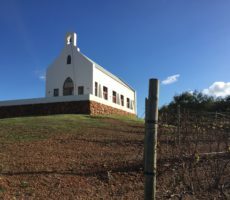 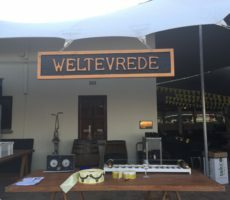 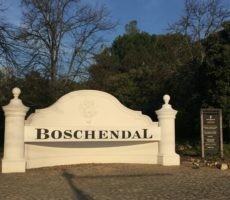 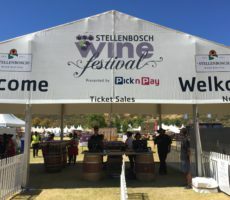 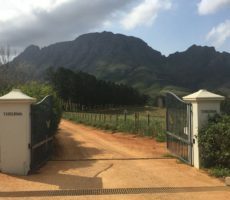 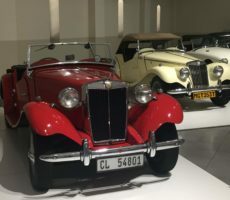 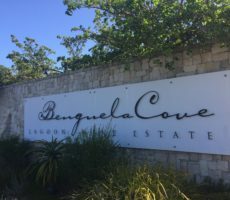 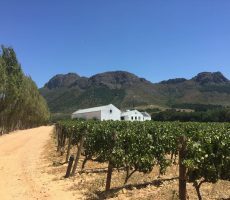 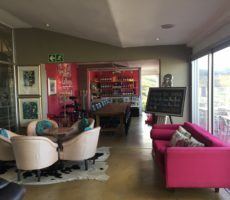 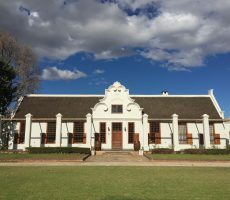 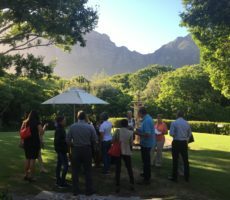 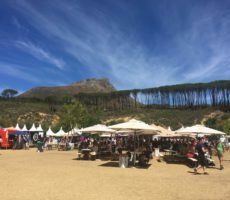 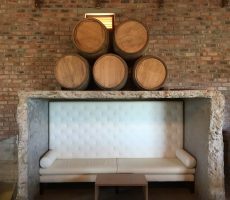 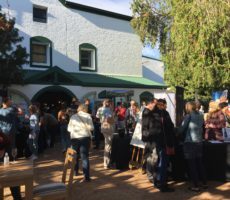 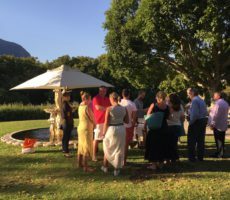 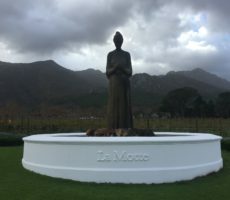 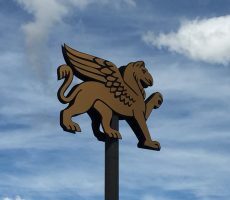 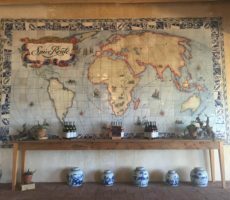 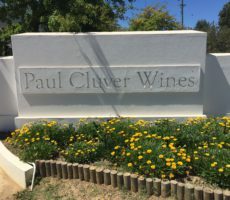 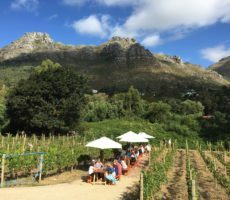 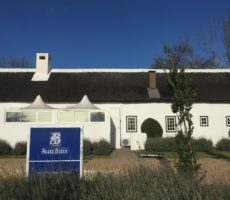 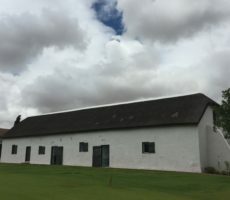 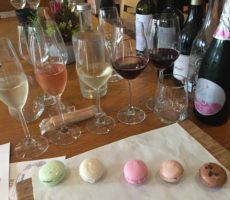 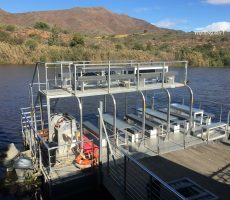 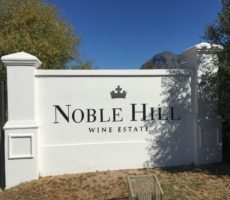 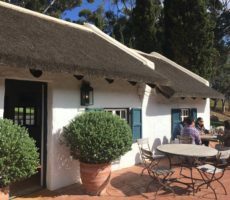 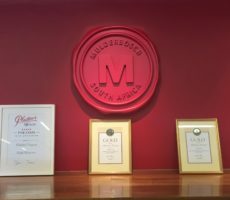 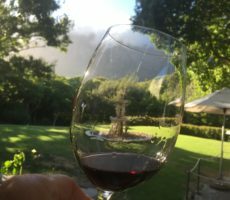 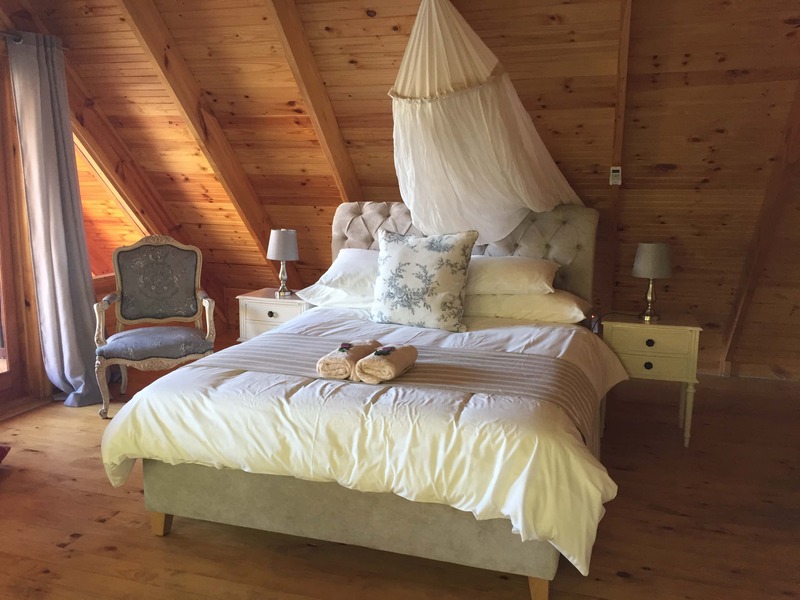 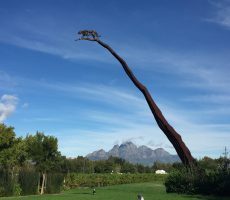 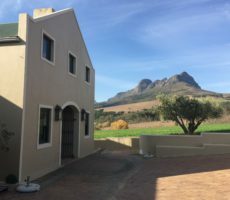 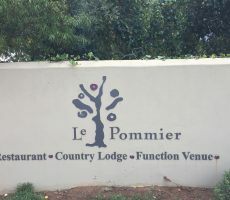 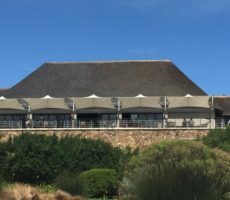 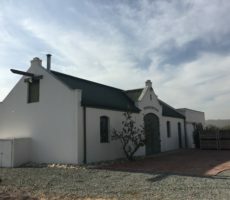 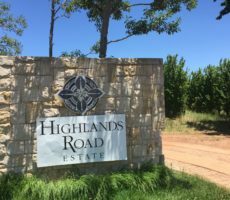 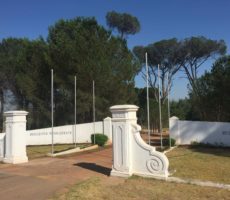 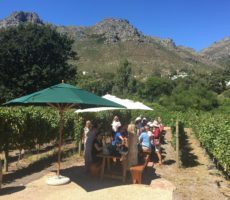 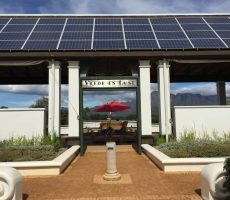 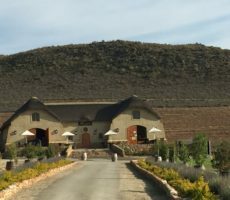 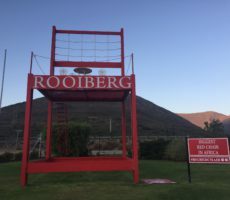 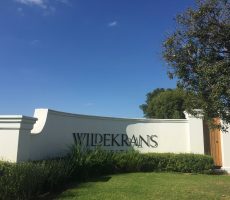 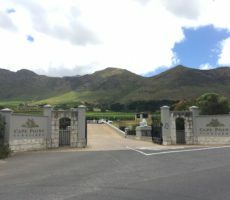 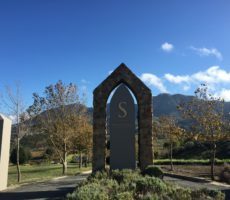 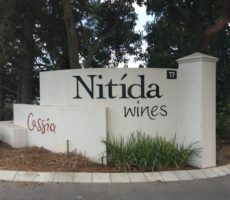 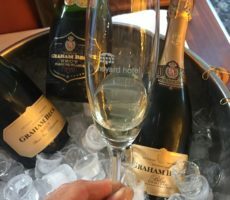 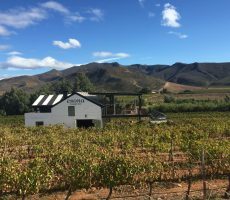 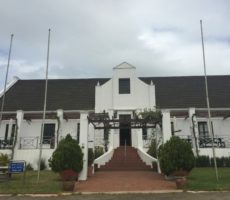 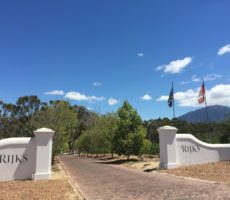 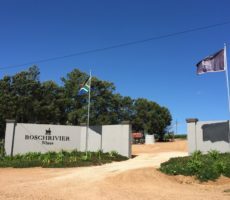 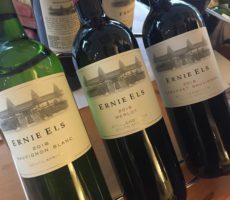 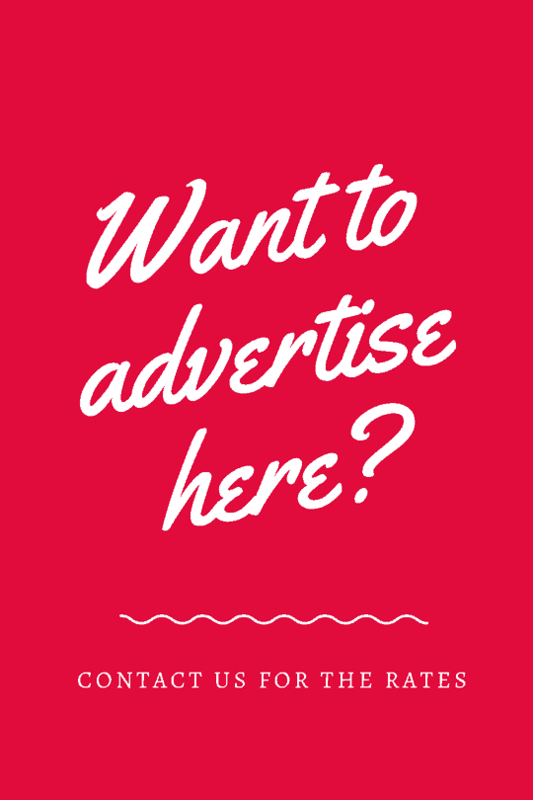 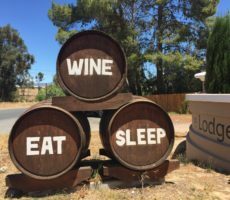 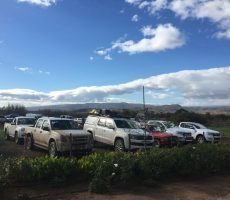 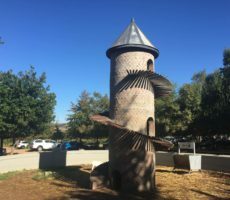 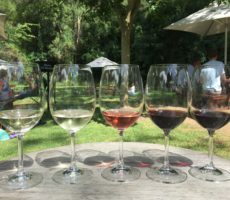 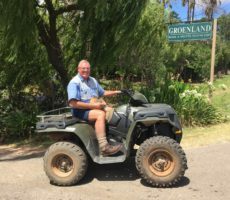 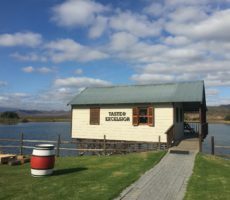 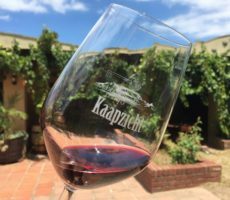 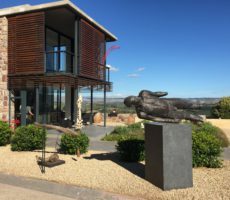 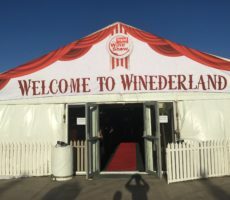 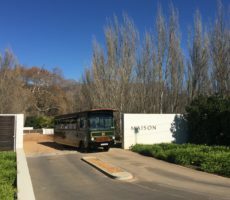 It is perhaps unsurprising though given that I have visited barely 200 of South Africa’s 900-plus wine estates for tasting and detailed review. 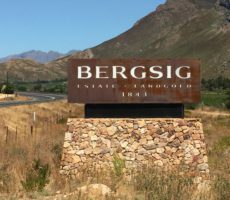 I almost did not make it today either as the R320 was closed between Hermanus and Caledon due to protest action. 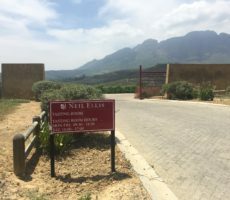 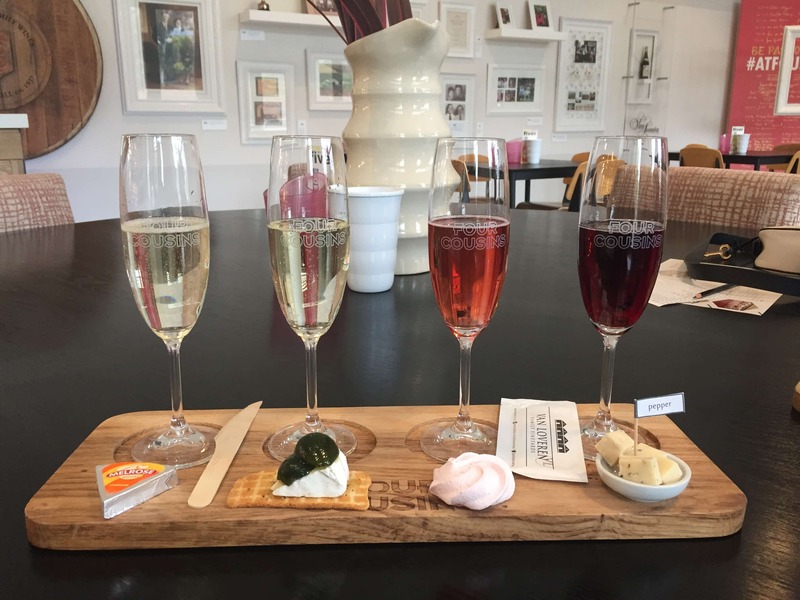 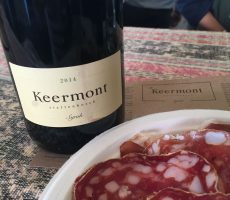 Fortunately for me, the action was closer to Caledon than Hermanus and the traffic police let me though the roadblock up the Hemel-en-Aarde Valley as far as Domaine des Dieux, stopping en route to taste at Bartho Eksteen and Newton Johnson. 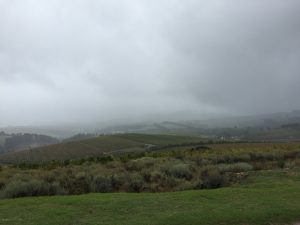 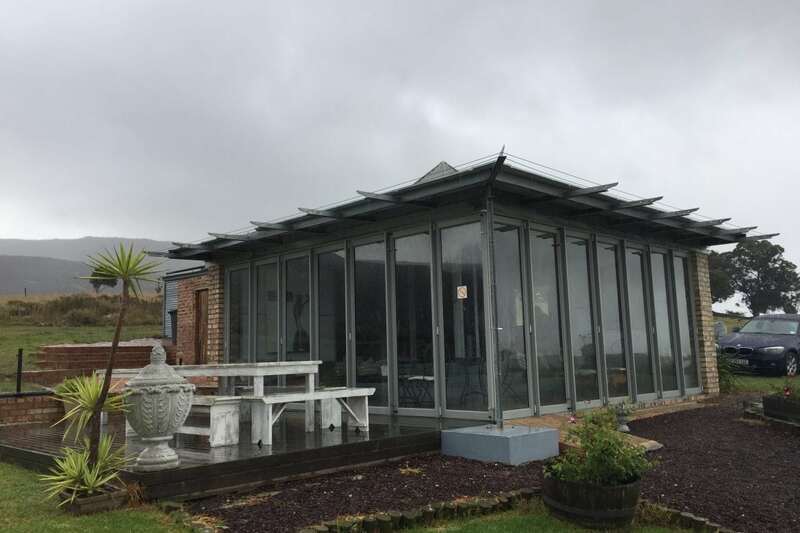 The rain had eased slightly when I arrived but the cloud base was still low and with none of the bright sunshine that my Cape Town forecast had predicted. 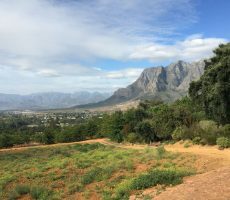 Welcome I know, it was nonetheless a case of ‘Clouds meet Earth’ rather than ‘Heaven meets Earth’ in the Valley. 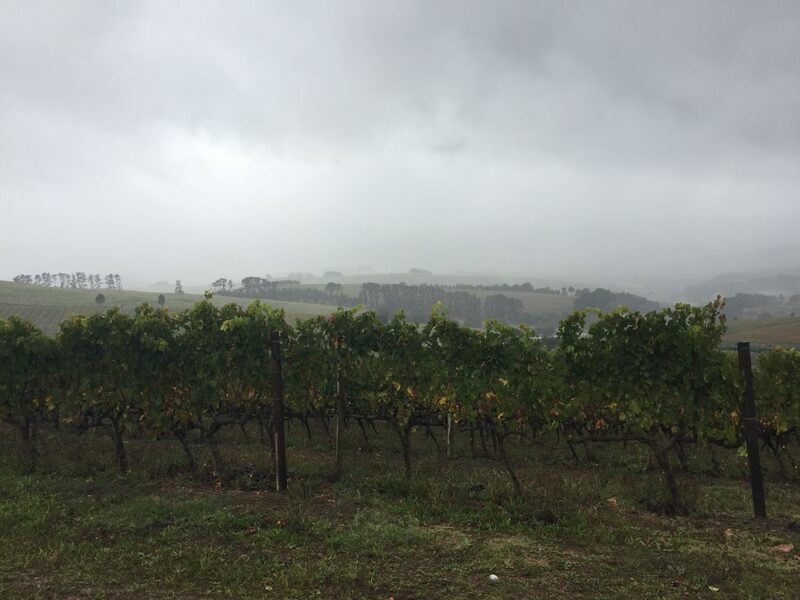 The muddy entrance road wound ever upwards along a ridge though damp Pinot Noir vines, eager for the rain to regenerate ahead of the 2020 growing season. 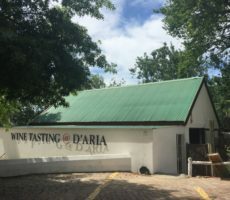 I reached a small square glass-sided Tasting Building and parked beside. 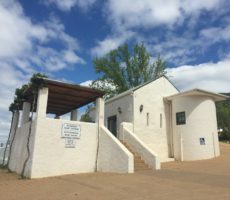 There was no one else here today due to the combination of protest and weather and I enter. 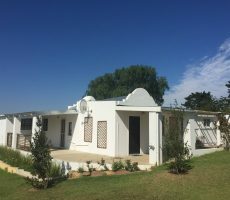 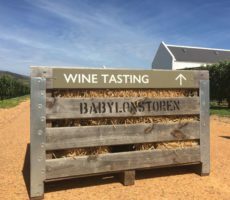 The near 360° view to Mount Babylonstoren and surrounding hills must be spectacular on a good day. 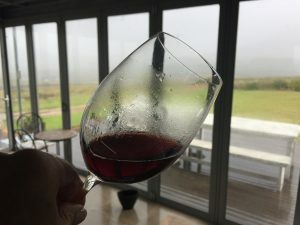 Instead, I am welcomed by a chorus of rainwater leaking through the roof and dripping into numerous spittoons on the floor. 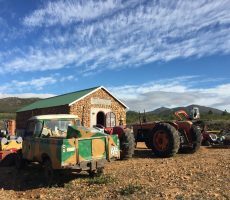 “’n Boer maak ‘n plan”, as they say, and so the spittoons came in handy on a day when I was perhaps the only visitor. 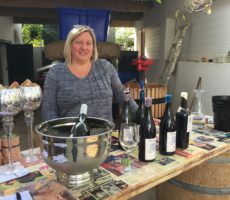 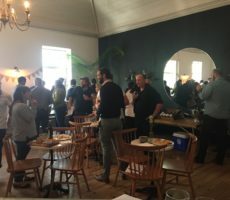 Caroline was my tasting host, at least between numerous phone calls to see if she could get the roof repaired as her colleague replaced full spittoons and mopped the floor. 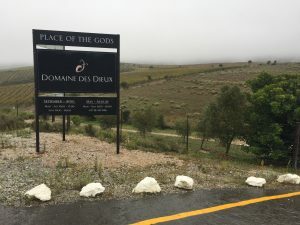 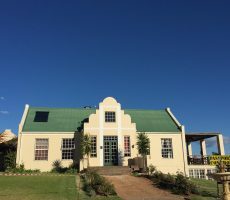 Domaine des Dieux, I read after, was bought in 2002 by 2 wine lovers with a dream of producing the first MCC in the Hemel-en-Aarde Valley. 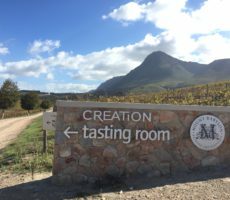 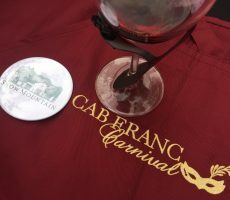 The grapes for the maiden MCC were picked in 2006, to be released after 3½ years on the lees in 2010. 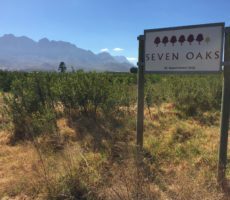 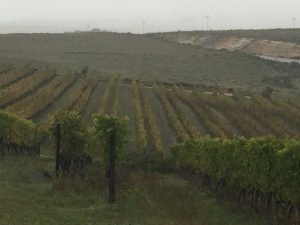 Successive plantings of white and red cultivars since mean that 20 hectares of the 28 hectare property are under vine, growing Sauvignon Blanc, Chardonnay, Pinot Noir, Mourvèdre, Syrah, Grenache and Italian varieties. 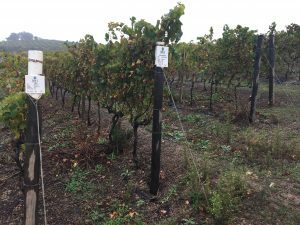 Unusually, some of the vines are grown in double rows. 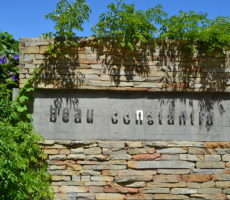 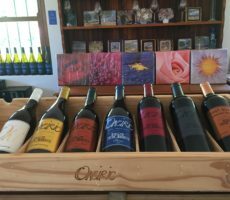 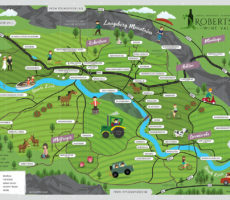 Unusually too, there is no cellar and the wines are made by 3 winemakers in different locations. 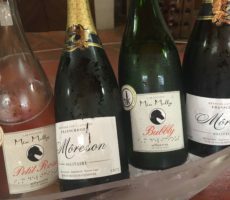 Domaine des Dieux, true to its roots, is very much an MCC specialist with 45% of production (30% red and 25% white). 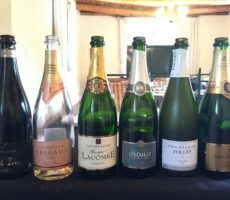 The first 2 wines I tasted were MCC. 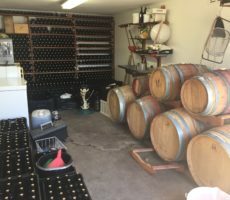 They contained opposing amounts of Chardonnay and Pinot Noir. 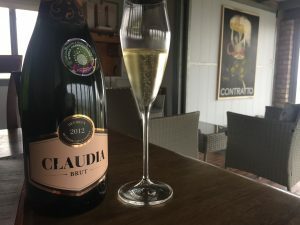 The Chardonnay-led Claudia Brut MCC was the first made. 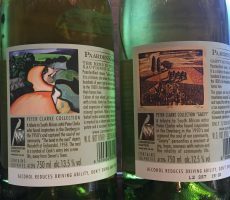 A fine line of rising bubbles offered a yeasty nose of baked apple and sultana aromas. 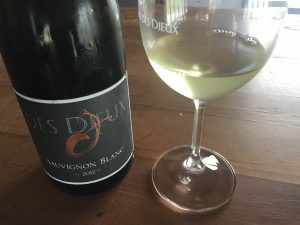 The wine was dry with a fresh moussante mouthfeel together with a good intensity of fruity flavour. 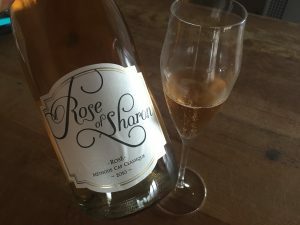 The Rose of Sharon MCC, named after the owner and reflecting the ‘essence of love’ portrayed by Solomon, was a very pale salmon in colour with slight orange tinge – to reflect the 80% Pinot Noir – has sweeter notes of mostly strawberry with limited complexity. 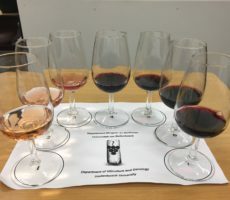 The wine is made using the saignée method in which the juice is bled off from the press when it has reached the desired colour. 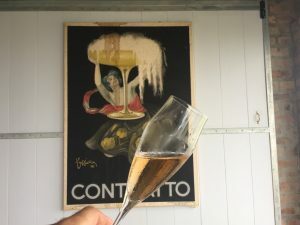 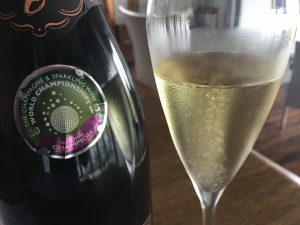 The yeasty flavours were less on the nose than for the Claudia as the MCC spends 36 months on the lees but became more pronounced on the palate that had a similar mouthfeel and flavour intensity. 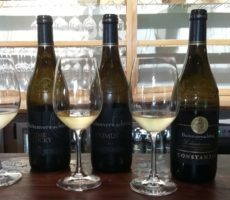 I tasted both the Sauvignon Blanc and the Chardonnay 2 years ago so it is interesting to compare notes. 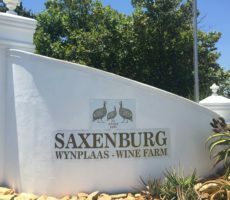 The Sauvignon Blanc was older than many (2012 vintage) and showed a correspondingly deeper straw colour than most. 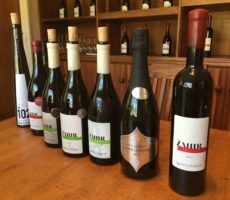 The wine showed typical green pepper and asparagus character with high acidity and a crisp palate. 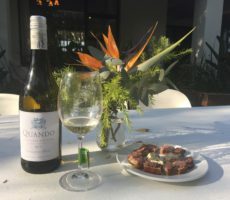 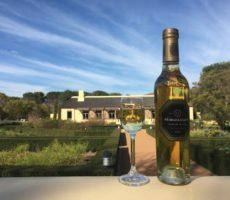 There was distinct Sauvignon Blanc smokiness in both aroma and flavour that is rare to experience in a South African made wine. 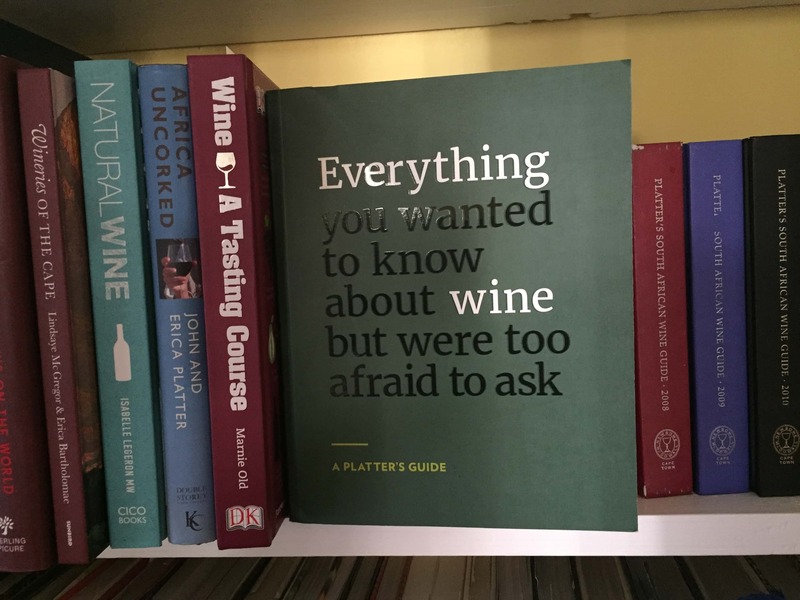 I wondered even if it was wooded. 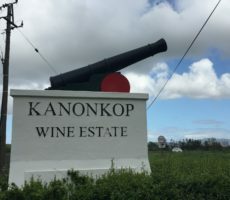 The Sauvignon Blanc was made in similar way to that by Bartho Eksteen, using 9 months bâtonnage before bottling in December to give added flavour and fullness. 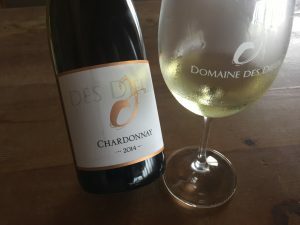 I rated the Chardonnay a little higher due to its greater intensity of flavour on the palate. 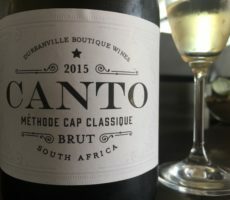 Fruity yellow apple, grape and vanilla notes (the wine is matured for 9 months in small French barrels) gave way to rich, creamy, caramel buttery flavours on the palate. 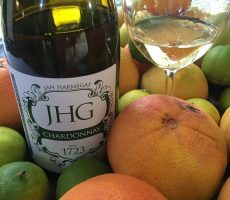 The medium acidity was pronounced to give weight and balance to the fruit flavours. 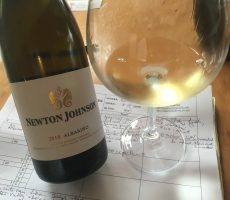 I see when reading back to my notes of 2 years ago that I picked out the definite apple aromas on the nose (as well as those of green asparagus for the Sauvignon Blanc). 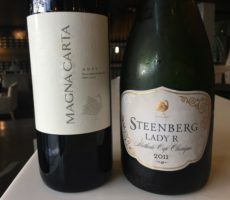 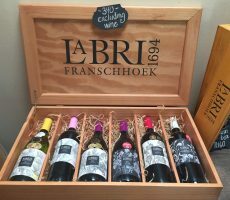 The price increase was notable too, from R85 and R120 to R129 and R170 for the 2 wines, respectively. 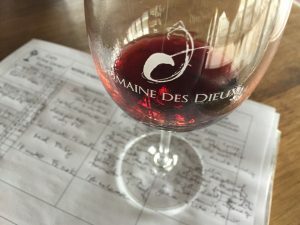 The Domaine des Dieux wines, unsurprisingly given the name, are made in French style and none more so than the Provence rosé made from 3 Southern Rhône cultivars. 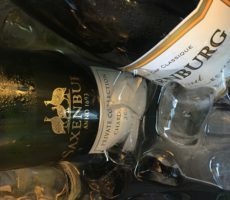 The wine was served very chilled that made it difficult to pick out more than fresh, fruity strawberry notes on the nose. 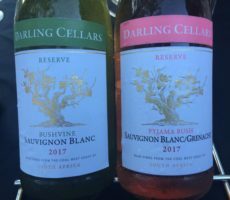 These aromas followed through to a bone dry, crisp fresh palate with medium acidity. 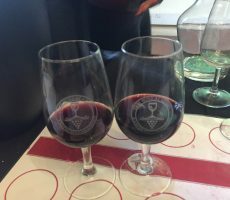 The tasting included 2 red wines. 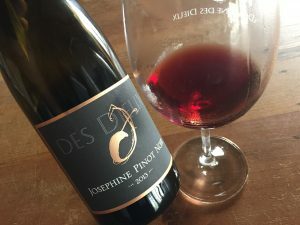 The first, the Josephine Pinot Noir, was my favourite Domaine des Dieux wine. 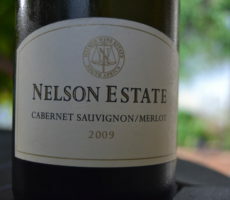 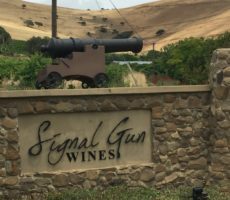 Made from young vines that are just 9 years old (15 to 20 years is ideal), the wine showed a better intensity than those I tasted beforehand at Newton Johnson. 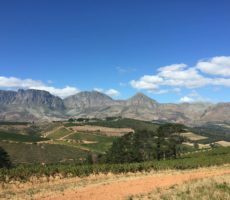 The colour was deeper too. 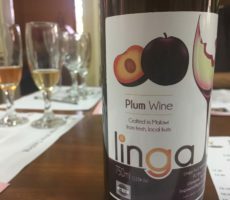 I liked the vibrant yet slightly smoky cherry flavours and the depth of fruit flavour on the palate that changed from smoky to sweet. 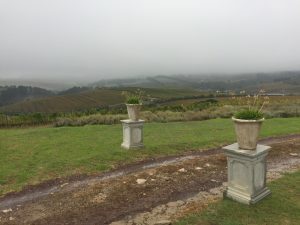 I did not expect to find an Italian cultivar up on the Hemel-en-Aarde Ridge though, as I write, I recall that La Vierge lower down the Valley makes a wine that is mostly Sangiovese (the Satyricon that also contains 10% Barbera). 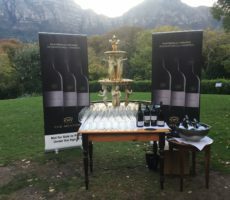 This was the first release of the wine that showed classic bitter cherry, tomato and tea leaf aromas on the nose. 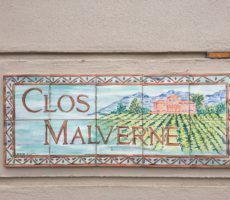 Olive green tannins, aided by 18 months maturation in French oak, gave structure and length. 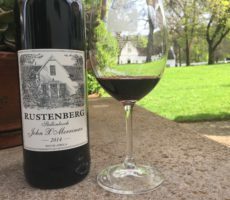 I bought a bottle but will keep it for a couple of years before drinking to allow the tannins to soften. 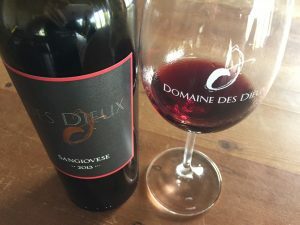 I am conscious that I did not see the ‘Home of the Gods’, as Domaine des Dieux translates into English from French, at its best. 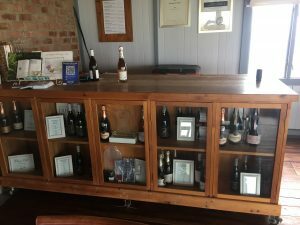 Nonetheless, the wines were well made and enjoyable and the leaking roof was humorous rather than spoiling of the tasting experience. 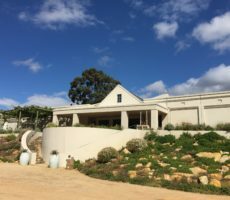 I found it difficult to identify a ‘house’ style other than a cleanliness of fruit that comes from the cool climate, but that is perhaps unsurprising given that there are 3 winemakers. 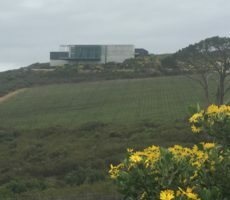 I shall gladly return – but on a good day to enjoy the views – but shall hope it will not be another 2 years of waiting.